Jupe Jupe - Faith In What You Hear. Background - Jupe Jupe creates dark and danceable pop music layered with crooning vocals, atmospheric synths, shivering guitars, and driving beats. 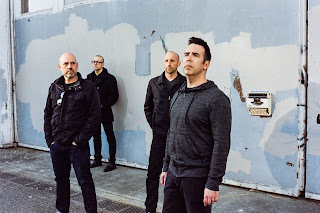 The Seattle quartet offers a collection of melancholy, hook-laden textures in its latest release, Lonely Creatures—10 hauntingly striking songs about isolation, fate, internal struggle, and technology gone awry. Each tune draws inspiration from electropop, post-punk, and ghostly Americana. 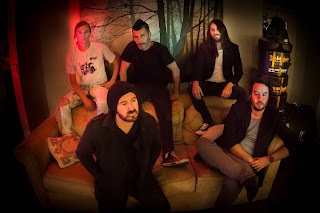 The band spent over two years crafting each song on Lonely Creatures before joining producer Matt Bayles at Red Room Recording in Seattle, Washington. 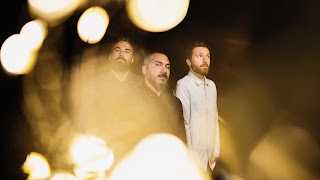 A former member of Minus the Bear, Bayles has produced and mixed a number of seminal albums by Botch, Mastodon, Murder City Devils, Minus the Bear, Russian Circles, These Arms are Snakes, The Blood Brothers, and many more. Lio Nicol - They Sent You Back Down. Secondly a reminder about Lio Nicol, the words may seen familiar for some of you. With honest yet quirky lyrics, she has found a way to reflect her sense of humour while maintaining her grace, setting her apart from other singer-songwriters. The Girl Folder - Once More Into The Night. 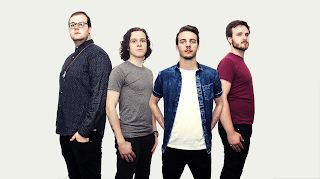 The five-piece indie rock outfit formed after lead vocalist and singer-songwriter Matthew relocated to Newcastle from London. After performing at an open mic night weekly in order to meet like-minded musicians The Girl Folder was born a year later, comprising of Matthew (lead vox, acoustic/keys), Scott Clayborough (guitar/backing vox), Dave Evans (guitar/keys), Adam Gathercole (drums) and Dan Cordery (bass guitar). Ozomatli - Come and Get Your Love + Solamente Una Vez (feat. Gaby Moreno). Background - Ozomatli is giving classic and iconic Latin songs a reggae twist on their current album 'Nonstop: Mexico → Jamaica'. Since its inception in 1995, innovation and creativity have defined Ozomatli. Hailing from Los Angeles, the group found a way to represent the city's eclectic culture through music that appeals to the local community and the world beyond. 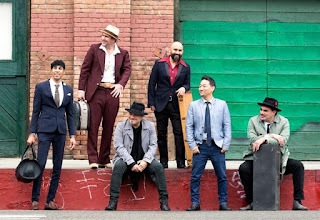 Ozomatli's success is exemplified in an impressive variety of genres, from classic to modern Latino, urban, hip-hop and other world styles. The "Dioses del Baile," or "Gods of Dance," have created one of the most exciting, captivating and flat-out fun live shows touring today. They continue to harness their musical instincts by conceiving new concepts and forging new sounds that keep fans on their toes and the world dancing. Background - Aagoo Records has announced two releases to be issued simultaneously on September 8. 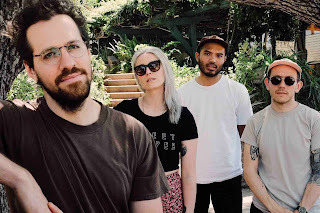 The first is ‘Human Giving’, a full length album from Seattle-based four-piece Darto. The second is the 'Follow Up / Hush' 7” featuring Darto and WAND, who wrote and performed these tracks together. The first LP is preceded by the single 'I Am'. The album's mood is immediately clear from the first note of 'GDLS', enveloping the space around the listener. By the time 'I Am' enters, the sound and feeling transitions from lush and inviting, to focused and intentional with the keyboards and strings propelling the movement. The lyrics and accompanying melodies float along seamlessly like being lulled into a dream. DreamVacation - Thin World (EP). Background - DreamVacation’s new EP ‘Thin World’ is cinematic in nature and thematically metaphysical. The EP includes such tracks as the title track which touches on existential themes. 2nd single “The Same Love” was originally inspired by the travails of Laura Palmer of Twin Peaks. While the EP touches on such seminal bands like Interpol and Temper Trap, the band employs a driving and transcendent approach to Post-Rock. DreamVacation’s stunning new EP, Thin World, delves into the inherent disparity of a world run by zeros and ones, what it means to exist, and what it might mean to not exist at all. It was recorded at Big Ego Studios in Long Beach and produced by Rian Lewis and DreamVacation. DreamVacation include Zilva Thustra on vocals and guitar, Gerry Matthews on bass and synth, and Noah Alexander on drums and synth. The band members previously supported live acts such as Foster the People, Airborne Toxic Event, The War On Drugs and Matt & Kim. Background - Glass Hour are pleased to share their new single “Burn”, which is now available. This song takes a slight departure from our familiar piano and guitar tracks and incorporates electronic elements to make an upbeat, catchy tune. It speaks of abrupt silence, unfamiliar territories and the uncertainty of allowing someone to slowly fade from memory. “Burn” is taken from our debut album Minute Hand (advance link) which is set for release on August 18. It’s a breakup album - an illustration of love, heartbreak, and recovery. Glass Hour is a pop-rock band from Montreal. With a generous incorporation of piano combined with a signature guitar sound, their music ranges from massive arena rockers to intimate, soul-warming songs. Website here, Facebook here.